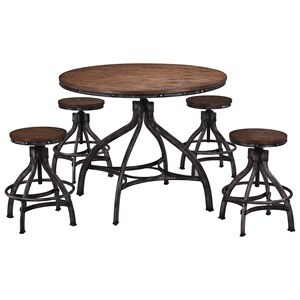 This contemporary style counter height table set with 6 stools is sophisticated enough for guests or daily use with your family. The pub table's four tapered legs complement the contemporary look of the set. 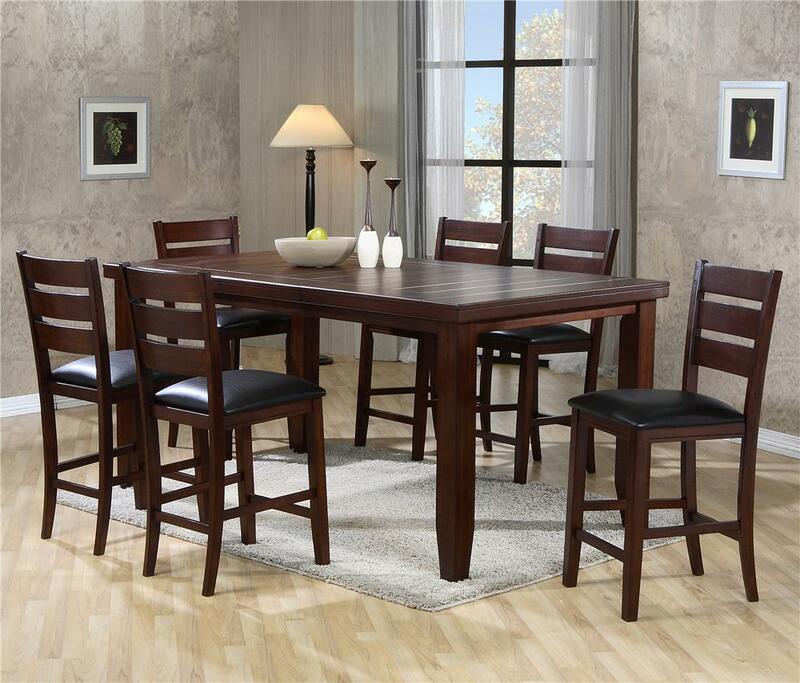 Let this great table become the center of your home's dining and entertaining area. 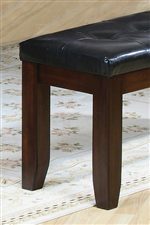 The six counter height chairs with a leather-look upholstered seats add contemporary style and comfort. 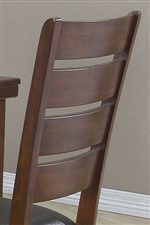 The smooth, ladder back style backrests complete the sleek look of the chairs. The modern bench adds great seating to complement the rectangular table and stools. 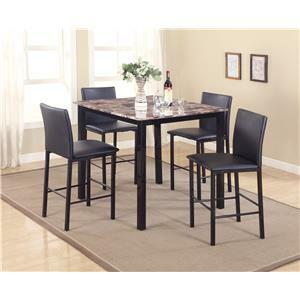 The Bardstown Rectangular Counter Height Table Set by Crown Mark at Household Furniture in the El Paso & Horizon City, TX area. Product availability may vary. Contact us for the most current availability on this product.